You may think that first-time buyers don’t have a lot of stuff, but they’ve been renting for years, piling up possessions. We recommend minimizing the amount of possessions when you buy your first home, but not everyone likes this idea. And we’ll be the first to admit that condo storage lockers aren’t always as large as they need to be. Plus, they typically cost extra. Empty nesters downsizing to a condo definitely need storage space because they are likely moving down from a large single-family home. They will definitely have to get rid of a significant amount of things in order to live comfortably in their new condo, but you can’t get rid of everything. That’s where companies like Life Storage and Bluebird Self Storage come in. At the beginning of January 2019, Bluebird facilities in Toronto, Mississauga and Woodbridge were added to the Life Storage Rent Now app, which allows you to rent, pay, insure, and manage your storage unit from your smart device. 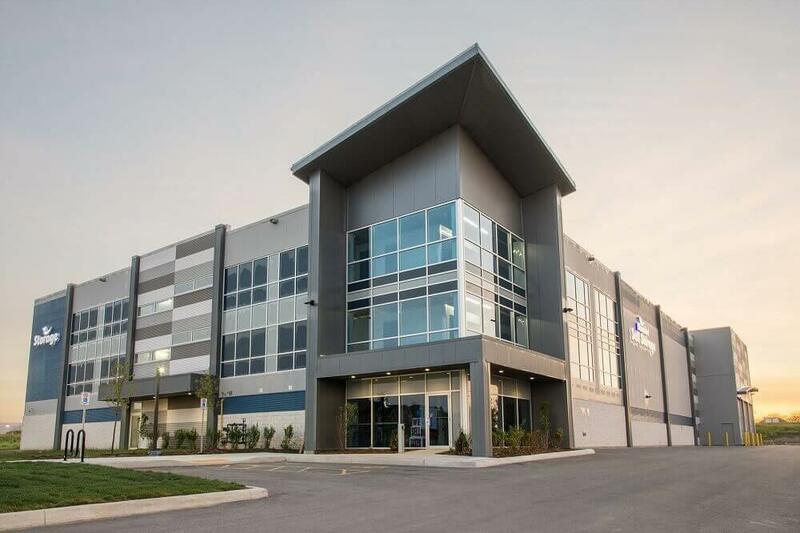 Bluebird has developed more than 80 self storage facilities in North America since 1983, including 25 properties in Ontario. There are also a few new facilities coming soon to Burlington, Whitby and Vaughan. Bluebird takes an "upscale retail" approach to their facilities, and they also employ year-round climate control, while most other storage facilities just have heating during the winter. The climate control protects your possessions from cold, heat, dryness and humidity. According to a recent release, 65% to 85% of Bluebird tenants rent to store residential items. We’re thinking that Bluebird and Life Storage see the Greater Toronto Area and surrounding regions as a hot market partially because of the high demand for condo units. It’s not just first-time buyers and empty nesters shopping the condo market. A detached home in Toronto still averages more than $1 million, despite a drop in price and sales. Couples who already own a condo are having to move up into a slightly larger condo instead of making the move into a single-family home. This added pressure in the condo market is driving prices up, which means first-time buyers can afford less, which means they may need extra storage.